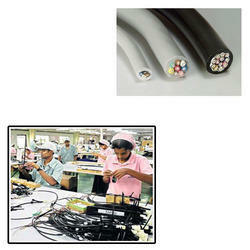 We are a leading Manufacturer of multi core cable for electronic industry from New Delhi, India. We are one of the prominent manufacturers and suppliers of Multi Core Cable for Electronic Industry. This product is made with fine quality of material and liable to perform its working for long period of time. We are providing this product in bulk. These products are available in dissimilar configurations that meet on clients demand. These are made as per the set quality standard of the market. One can easily get it at a very reasonable rate from us.